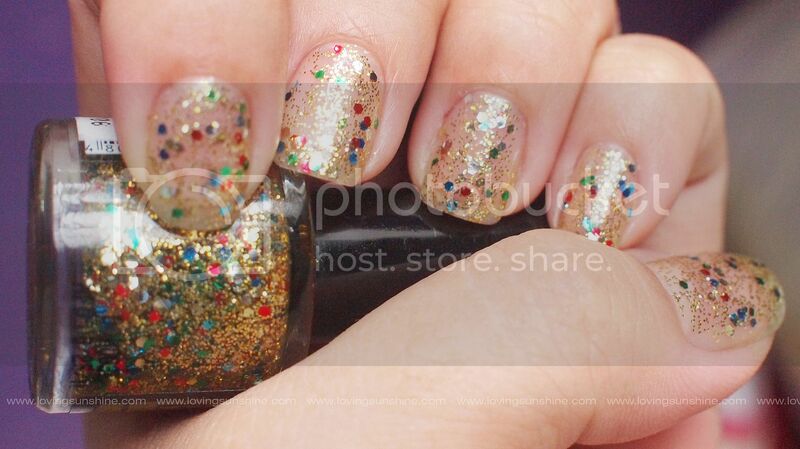 Bobbie is a staple nail polish in every Filipina's mind--or at least it should be. It is affordable, accessible (available almost everywhere), and it has a growing collection of colors and finishes. 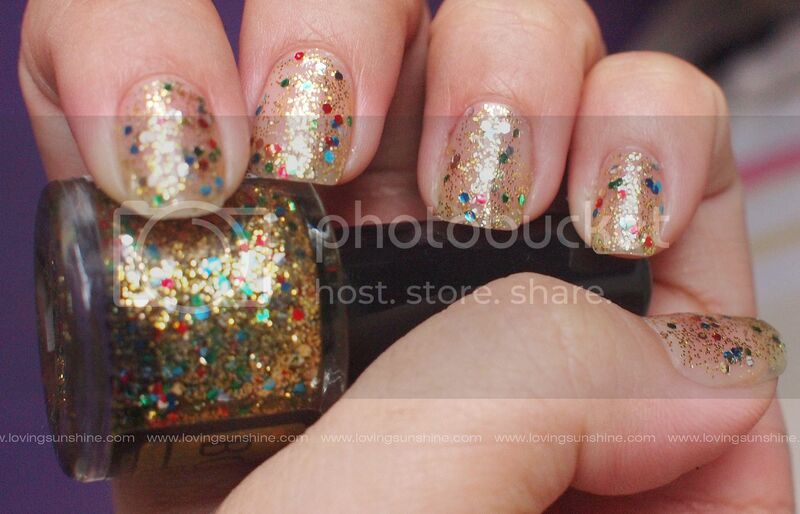 This one I'm sharing right now is among the glittered Bobbie nail colors. The name is Solar Burst. I applied two coats of the polish against my naked nailbed. I debated using a base color for a while but I went for a naked nailbed because I wanted to see how the polish would look like on its own. Suffice it to say, I had no regrets. It looks so pretty! 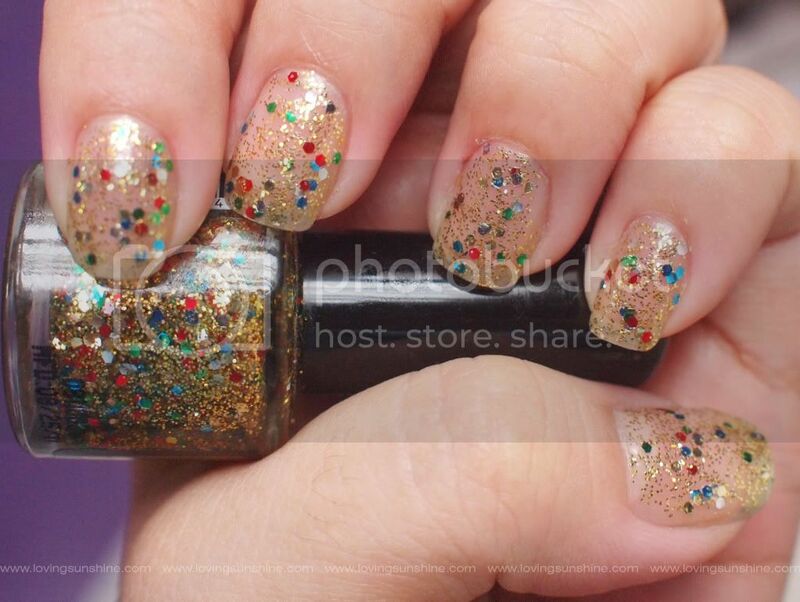 I love how at first glance the nail polish would look like a sheer glitter party (photo 1 below) but when light hits it, the "subtle" golden shimmer really just bursts into something so fabulous (photo 2 below). The blue, red and green flecks add a candylicious touch to it. I keep on thinking peppermint candies when I look at my nails! All in all, I really love how the polish delivered shimmer and fun with just two coats. 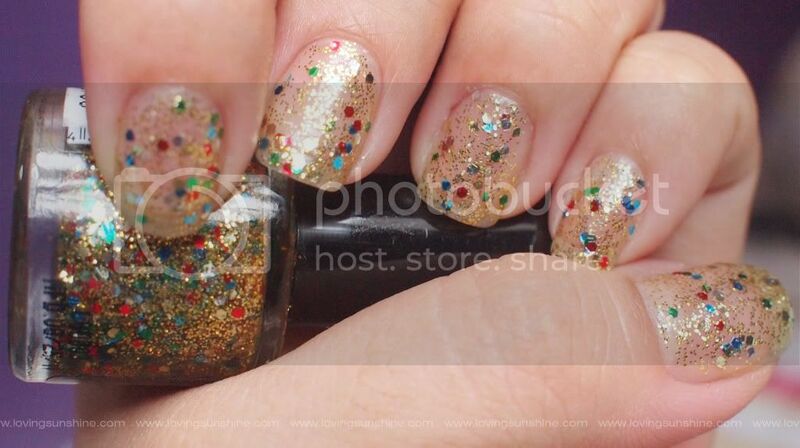 For a glitter polish, it was also very easy to work with! The gold glitter was generous but not overdone; while the flakes are fished out easily. So what do you think of my summer-luvvin nails? Sharing with you my new planner! 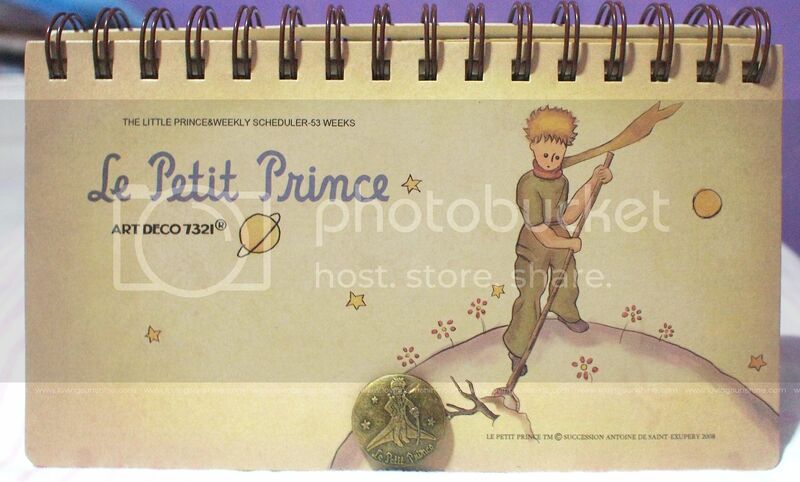 It was given to me by my sister because I really love The Little Prince. Because the name of the polish I featured relates to the sun (and we all should know about The Little Prince's sunsets), I figured it's apt to share this now! I took photos of the pages so if you would like to print them for your own use too! Happy week! Please don't forget to join my SUMMER giveaway to win this loot! Visit this post. Very pretty nails!!! 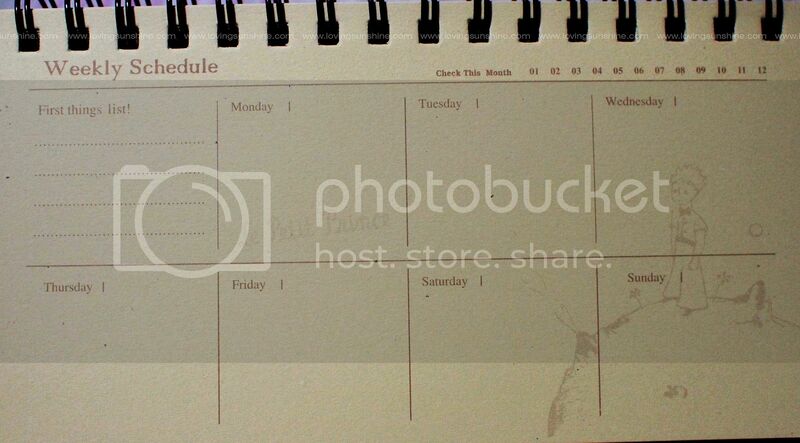 And I love the calendar too! Thank you Jenni Lee! :D im glad you liked them both! I absolutely love this mani, gorgeous multicoloured glitter :) And that planner is too cute! What fun nails, and such an adorable planner!! So cute. I love The Little Prince. 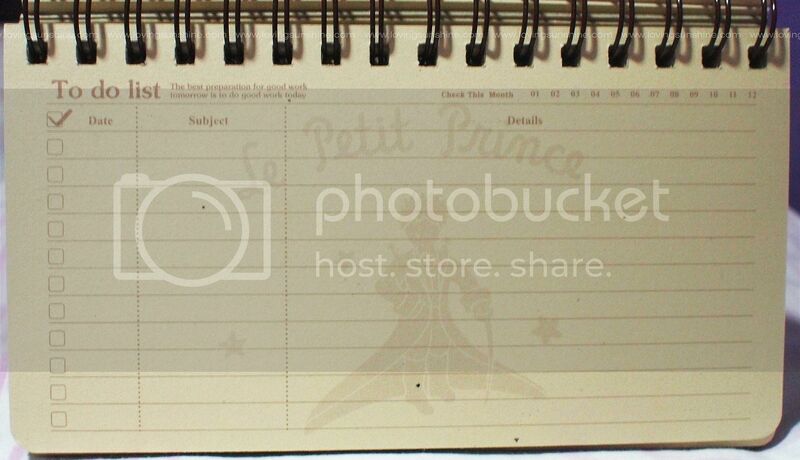 The planner is really cute too! 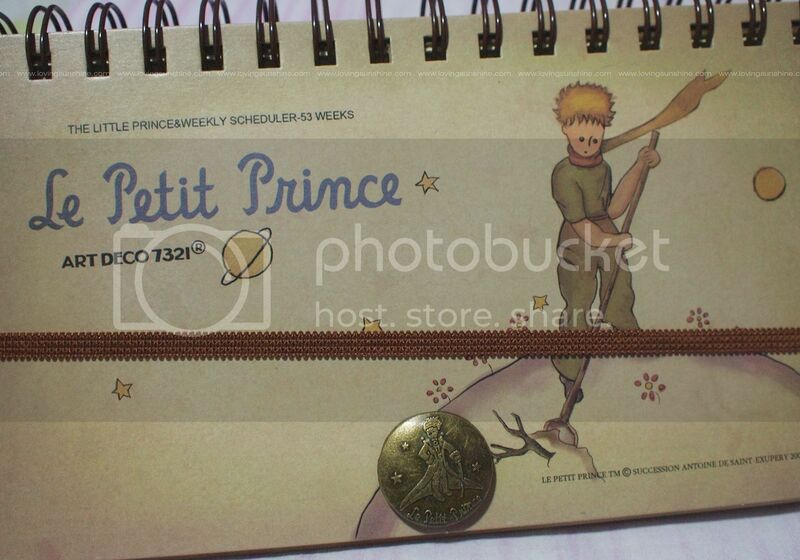 i love the lil prince planner! :) so cute. and the nails too! in love with everything that glitters!